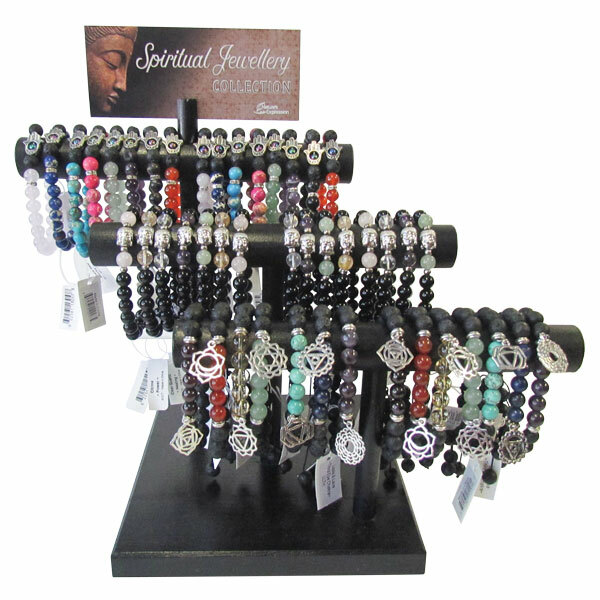 This three-tier handmade wooden display features three styles of bracelets made from gemstones and spiritual symbols. 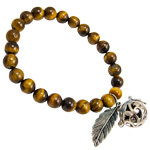 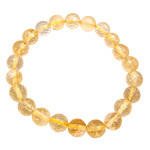 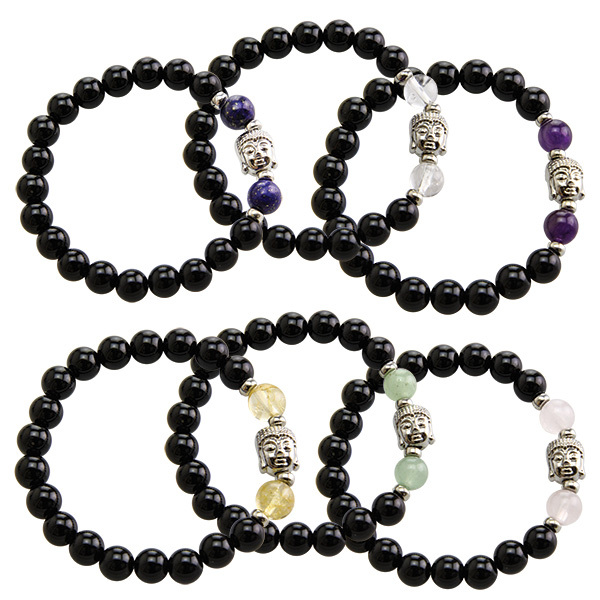 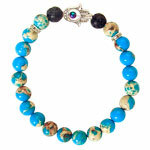 The chakra charm lava bead bracelets feature gemstones highlighted by silver beads, a chakra symbol charm and lava beads. 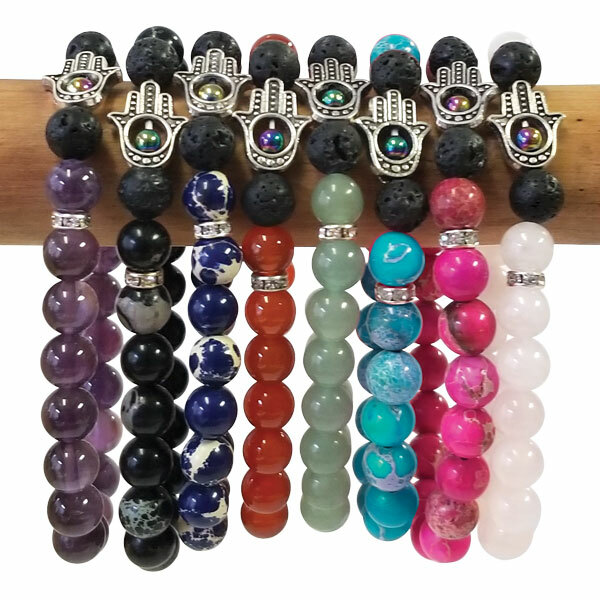 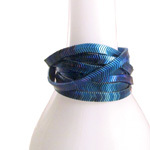 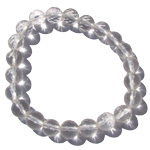 These easy to fit bracelets feature a string closure that is finished with lava beads at each end. 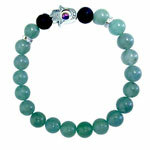 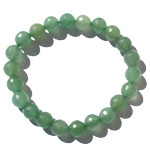 Gemstones may include garnet, carnelian, citrine, green aventurine, turquoise, lapis and amethyst.